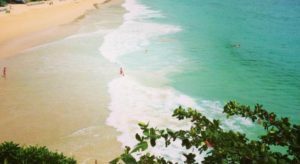 JOIN US TO UNWIND, RELAX, NOURISH THE MIND+BODY ON OUR 2019 PHUKET RETREAT. 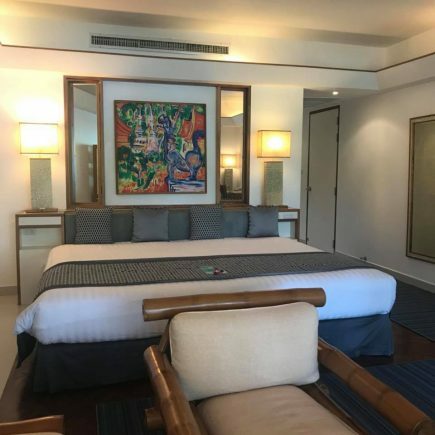 A boutique hotel in Phuket situated on a headland overlooking the Andaman Sea and the white sand beach of Kata Noi. 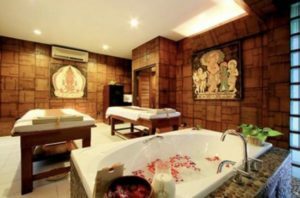 Villa Royale is a personal creation of the renowned artist and architect Mom Luang Tridosyuth Devakul better known as Mom Tri, a descendant of King Rama IV. Formerly a summerhouse, it was opened to the public ten years ago to provide guests with a truly royal experience. 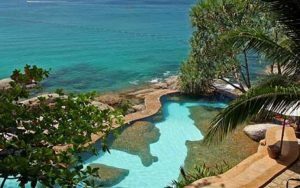 Landscaped into rocks overlooking the sea is a lovely saltwater swimming pool, while there are two freshwater pools. A private path from the hotel leads to the sugar-white sand beach and the turquoise water of Kata Noi. 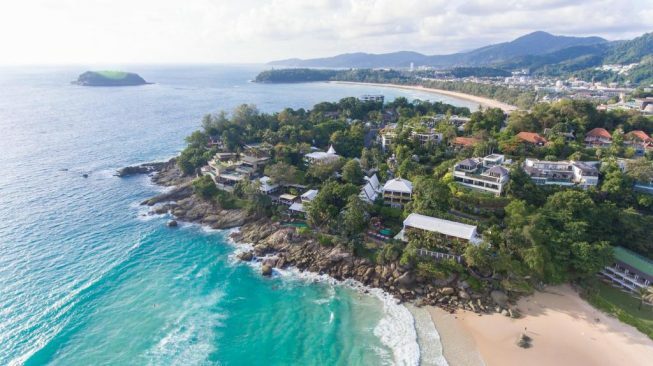 Mom Tri’s Villa Royale offers a rare and unforgettable opportunity to experience graceful live is one of Phuket’s last hideaways. Rooms are based on Royal Wing Suites. OPTION to UPGRADE to Beach Wing Suite for $200 for beach views. Mom Tri’s Spa Royale is a union of nature and luxury for relaxation and well being.Set amid the lush, informal and peaceful gardens of Mom Tri’s Villa Royale, the spa’s talented therapists apply the ancient knowledge of natural Thai remedies to awaken and balance the body and calm the mind.Beyond friendly pampering, the sensible, therapeutic treatments restore your inner serenity.Spacious and beautifully decorated massage and treatment rooms with private steam baths and soak tubs are built around a central massage pool.Natural ingredients with unique blends of essential oils, original to the spa, are combined with fresh fruit, herbs and the finest base oils in body scrubs, tea bath soaks and aroma massage oils. 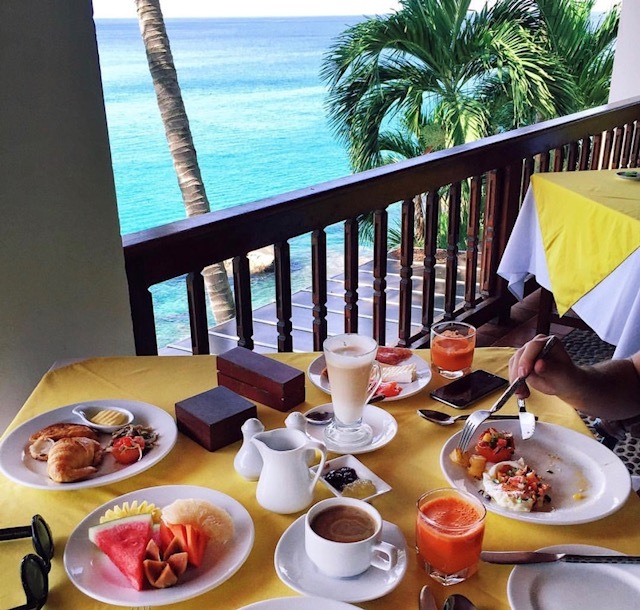 Mom Tri’s Villa Royale offers an array of culinary delights with mouth-watering cuisine to suit every taste! Enjoy a cocktail and indulge your taste buds with an array of genuinely local Thai food; diners can also sample a selection of impeccably cooked international cuisine. You get the BONUS 2 for 1 with the inspiring and real teaching duo, your Phuket retreat hosts – Kate and Sam. Both teachers are passionate about all things yoga, food, wine and cherish all life experiences and friends. Sam loves a creative flow with music to keep you moving with the breath. You never know what you will get in the class. Classes are tailored to who is in the room and how everyone feels. She literally goes with flow. Kate brings personality, creates strength in body and space for the mind. Her classes are fun and challenging with options for all. She enjoys teaching Hatha yoga & Fusion style classes which combine static postures with elements of vinyasa. A focus on breathe is always an important element of her classes. Both Kate and Sam love to share their fun and dynamic practices. We are all about balance so get ready for daily yin, restore as well as meditation. We have a flair for going with the FLOW and adapting to the needs of our retreat attendees … ALL will be nurtured. * Please note we will endevour to find you a room buddy for twin share. However if this is not possible due to final uneven numbers, you will be offered full refund or option to pay difference for single option by 1st Feb 2019. A non-refundable $1000 deposit is required upon application. We will forward the application form, payment details with terms and conditions.